The past weeks I’ve talked about my desire to gamify with my students. My principal. Even my mom. None of them shot me down…yet I never felt that I won them over. I’m so excited about the prospect and have so many reasons and ideas buzzing around my head, but ask me to explain my reasons why–and I start to ramble. Thus, the need for an elevator pitch. 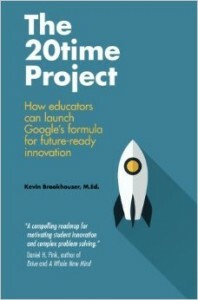 Kevin Brookhouser writes about it in his book The 20Time Project, and essentially, my study of gamification has been my 20Time project this semester, albeit an informal one. And since I also want to start my students to create 20Time projects next year in lieu of their traditional research papers, including an elevator pitch as Brookhouser describes, then I need to do it myself. (Problem Statement) Over the past twenty years, technology has transformed communication and education, yet the traditional high school curricula has not. Even with this brand new world of technology, students aren’t any more motivated than some of my classmates and education isn’t taking advantage of the full potential our current technology provides. (It Gets Worse) I still see highly intelligent students not engaged, other students who aren’t receiving the extra attention they need, and still other students stalling out rather than accelerating ahead because I’m trying to keep everyone “in the same place” in my instruction. (Glimmer of Hope) By gamifying my classroom with both game mechanics and project-based learning, I believe more students will be motivated. (Novel Solution) Gamification, or Dr. Chris Haskell’s term of “quest-based learning,” provides students with autonomy, purpose, and mastery. Students feel they have ownership and choice over their learning. With more project-based learning, students feel more purpose to their work. And with focusing on mastery and standards-based grading rather than traditional bell-curve grading, students can move at their own pace and not feel that a failure is going into the gradebook. (Credible Authority) As a blended learning teacher who’s spent dozens of hours researching gamification, I can transform my curriculum into a gamified format that will be more motivating to a wider span of students. (The Vision) I know it won’t be easy and perfect, but I envision my classroom as a place of independent learning; where students are working on different tasks that fit their speed and abilities; where they have choice and purpose with their work; and where I can work with students or small groups rather than standing in the front of the room lecturing. It’s a little long. 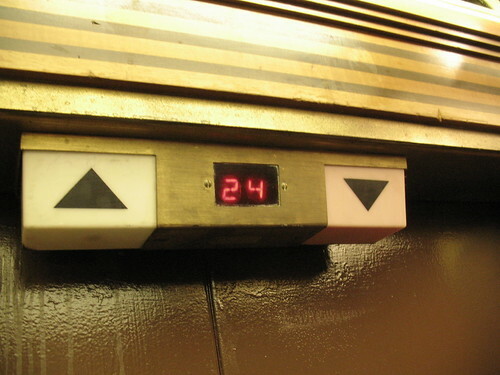 It may take a couple elevator rides. Ultimately, this is why I want to gamify my room. Not for the badges, though I see some benefits to those. Not for my students to earn currency to buy pencils or erasers or assignment passes–I plan on being way too busy working with students or providing feedback to run a classroom store. And not because I’m a gamer–because I’m the biggest rookie player out there. I truly believe that providing students with autonomy, purpose, and keeping the focus on mastery, my students will be more engaged, resulting in them progressing further and learning more.